I just wanted to let you know that the Quartet were fantastic at the weekend. The standard of the performance was exceptional, with exactly the right blend of music for the occasion. They reacted well to all the procedural nonsense that goes with a formal dinner night and their rehearsal with Mr Vice paid off, as he/they were spot on for the Loyal Toast. I couldn’t have asked for more and hope they enjoyed the evening too and were fully looked after. I am about to handover in my appointment but will certainly recommend the Quartet to my successor. The Bossard Quartet ladies were absolutely incredible! Thank you for being such a pleasure to 'work' with and for sharing your talents with us on our big day. All of our guests thoroughly enjoyed your music as did we, and there were so many compliments on your performance. The Bossard Quartet played for my Garden party. The lovely ladies arrived with plenty of time to get settled before my party. They were fantastic, perfect for keeping the 'olds' happy with the tasteful music, however they were playing Coldplay or the Killers which kept the 'youngs' happy too! When my drinks party didn't come to an end as predicted (and as the invite stated!) the girls played for an extra hour than I had previously booked. The Bossard Quartet came recommended to me by a music teacher I know, and they didn't disappoint. Their music repertoire is incredible - something for all tastes, and they played beautifully on the day. The Quartet were the perfect choice for our wedding at Goodwood House - and during the wedding breakfast moved to play on the balcony in the Main Hall so our guests could continue to enjoy the music. 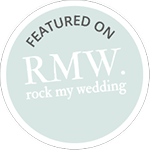 We booked the Bossard Quartet for our wedding and they were amazing! We have had so many compliments from guest to say that it set the tone for the day. Thank you so much for making our day special! The Bossard Quartet really made our day extra special. Amy was a joy to deal with and was incredible with my stressed, bride-to-be demands. They sounded superb, played everything we requested and gave our wedding ceremony a touch of class. We would like to thank you for making our service and drinks reception incredibly special. We appreciated having such beautiful music, creating a moving and memorable wedding. Our guests enjoyed the variety of popular music and they thought it was wonderful to be able to make requests. I would recommend the Bossard Quartet for any wedding. The Bossard Quartet played at our Firm’s Summer Drinks event earlier this month at The Rifles Museum in Salisbury. 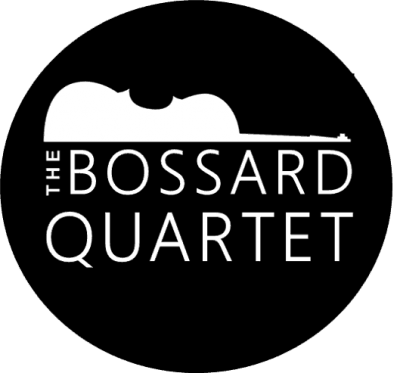 We have used The Bossard Quartet in previous years and were very keen to invite them back as they really add to the atmosphere by playing beautifully throughout the evening. The ladies were very professional and have a great repertoire of songs. The Bossard Quartet came to play at our BACP Annual Research Conference, held in Brighton. They started playing their repertoire and then played pieces we had chosen from their lists, which was absolutely fabulous! Normally after dinner delegates disappear to network, but this evening they stayed and listened to the wonderful music provided. Thanks very much for making our conference an even greater success! Thank you so much for coming to play at our party at Houghton Lodge on Sunday. it was following a very special church service to bless new church bells in memory of my mother in law, Anthea Busk. It was also the Queen's Jubilee, so I wanted something really, really special to play for these two amazing ladies, and you were just what I had hope for! Everyone enjoyed listening to your music, and loved the modern repertoire! We do wonderful weddings at Houghton Lodge (www.houghtonlodge.co.uk) so I hope you will come back again soon! Hope you're well and had a lovely Christmas! Apologies for this being later than I would have liked, but just wanted to say a huge thank you for the beautiful music you and the quartet provided on our big day. We had so many glowing comments about how lovely the music was, and for us it helped make the ceremony feel so personal to have music that was so important to us. I'm really sorry I didn't get to speak to you on the day to thank you in person - it all went by so quickly! But thank you again and hope you have a lovely year ahead. A massive apologies for not writing sooner - please dont think I've been putting it off, but with the honeymoon (a month) and getting back into the swing of things ive found myself nearly 2 months being married and not having got back in touch! You guys played for our wedding at Farbridge on the 26th September (this email address has probably changed now I have changed my name incase you dont know it!) and it was fabulous. Unfortunately we didnt get much of a chance to thank you on the day as we were here there and everywhere but it was very much noticed on how well you all played and the music choices that went down. Firstly I wanted to a say a big thanks for the music played during the ceremony, it was spot on and I suddenly panicked when I realised I had only requested the Jurassic Park music whilst signing the register and it was taking longer than I thought. But you guys flipped the papers and started on All I Ask Of You from Phantom - couldnt have picked a better piece! I love that tune so much and my mum was very happy about that too (dont worry - i didnt take the credit for choosing it!). The weather was brilliant so we were able to spend a lot of time outside, and I really enjoyed some of the modern tunes played then, Jamie particularly loved Coldplay as he's a big fan. During the meal we're so glad we decided to ask you to stay for the meal, it was really nice to have live music. My mum was also incredibly happy about the rendition of the Jeeves and Wooster tune - she didnt know it could be such a diverse set of music! It was a fabulous day, I hope you enjoyed it as well (and you were fed and watered). Oli and Ashley Richardson's wedding. Should have written sooner but many, many thanks for all your gorgeous music at both The Warrior and The Langstone. We all enjoyed your amazing repertoire and many of our foreign guests commented how lovely it was. Your music totally enhanced the occasion and we will highly recommend your Quartet to anyone for any occasion. Our very sincere thanks. Just attended the concert at St Simon's Church, Southsea - thank you for a wonderful evening, your playing was inspirational and I hope to hear you again soon. I particularly enjoyed Elgar's "Chanson De Matin", but it was all wonderful! We would like to thankyou so much for playing at our wedding on 31st July 2015, you were sensational and everyone absolutely loved listening to you, such a romantic touch to our beautiful day, thank you again so very much for your big part in making our day so truly magical. We cannot begin to express our thanks to you for playing at our wedding ceremony and drinks reception you certainly brought a tear to a few eyes during the service. Perfect combination of classical and modern to suit all ages and created a beautiful atmosphere for both ceremony and reception. Thank you. The Bossard Quartet were an amazing choice for our Wedding. 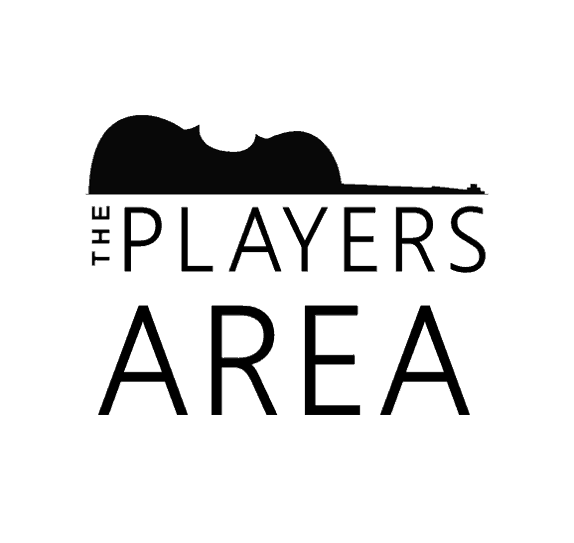 Totally professional and brilliant musicians with an extensive range of music to suit all tastes. Many thanks for making a special day even better. The guests are still talking about it. We knew we wanted a string quartet very early on in our wedding planning but, we only wanted the Bossard Quartet - if they hadn't been available we wouldn't have had one at all. We'd seen them play at a neighbour's garden party a few years earlier and had both been struck by how brilliant they were! John in particular loved their arrangements of contemporary pieces, mingled in with classical and folk. We were thrilled to bits to find they were available for our big day so we booked them in an instant.